Getting to Know the Lanny D. Levin Agency | Lanny D. Levin Agency, Inc.
Lanny D. Levin is a Chartered Life Underwriter and Chartered Financial Consultant and the President of the LANNY D. LEVIN AGENCY, Inc. The firm helps individuals create legacies, accumulate wealth and preserve it for future generations. It helps business owners plan for enterprise continuity, ownership succession, and develops plans to reward &; retain key executives. It specializes in assisting group benefits producers, general insurance brokers and investment professionals serve the life insurance needs of their commercial customers and high net worth individual clients. Lanny is a past President of the Chicago Estate Planning Council and has been a featured speaker for the Chicago Estate Planning Council, Practicing Law Institute, Illinois CPA Society, Chicago Bar Association, Greater North Shore Estate Planning Council, DuPage County Estate Planning Council, the Greater Chicago Chapter of the Society of Financial Service Professionals, and both the DuPage and Chicago & Northeastern Illinois Health Underwriters. He has presented workshops and seminars for many of Chicago’s top law firms and accounting firms. He was named the 2009 Solomon Huebner Scholar by the Greater Chicago Chapter of the Society of Financial Service Professionals. The Chicago Estate Planning Council honored him with its 2009 Austin Fleming Distinguished Service Award. He is an active member in The Association for Advanced Life Underwriting, and a Life & Qualifying member of the Million Dollar Round Table. 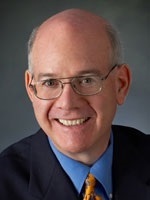 He has written articles published in The Journal of Financial Service Professionals, Warren, Gorham & Lamont’s Tax Ideas and Successful Estate Planning Ideas & Methods and Life Insurance Selling magazine. After graduating from Stanford with a degree in Economics in 1971, he began his life insurance career with The Guardian Life Insurance Company of America. In 1978 he started and developed the life insurance department for a Chicago property-and-casualty insurance agency, ultimately becoming a vice-president and head of its Benefits Division. 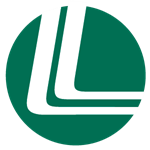 In 1989 Lanny became a partner in THE DAVIS-DANN ORGANIZATION, a life insurance firm in Chicago’s Loop serving high net worth individuals and owners of closely-held businesses. In 1993 the firm was renamed DAVIS DANN LEVIN, LLC. With the retirement of both of its original principals, he has been the sole owner of his own firm, the LANNY D. LEVIN AGENCY, Inc. since 1997. A native of Chicago, Lanny lives in Highland Park, Illinois with his wife, Atara. Their 31 year old daughter, Rachel, is a teacher; her twin sister, Paula works in the not-for-profit world. Their son, Adam is 35 and is a college professor and an award-winning novelist and author of award-winning short-stories. Registered Representative and Financial Advisor of Park Avenue Securities LLC (PAS). Financial Representative of The Guardian Life Insurance Company of America (Guardian), New York, NY.